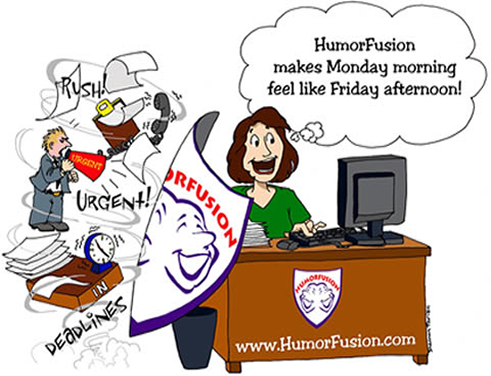 On this page you will find our HUMORFUSION products available for purchase. An Innovative And Imaginative Approach To Living A Healthier, Happier And More Prosperous Life. In less than 7 days you will re-discover your sense of humor and put balance back in your life. 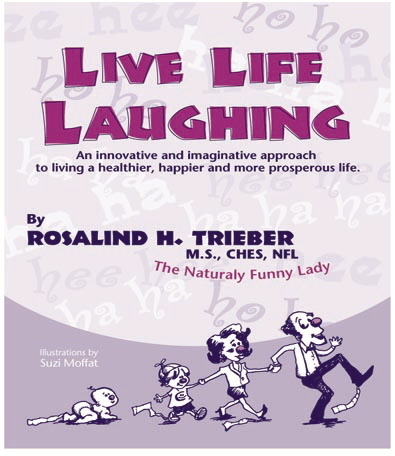 The simple assessments contained in this book help you to succeed in laughing off stress. $14.95 + $6.00 S&H [US] $12 S&H [CAN] (Note: MD resident must add 6% sales tax.) Contact me to place an order. Outrageous and Hilarious Humor Laced Between 43 Healthy Delicious Recipes created for those with Cancer and Diabetes. The top 10 question and answer approach to making lemonade when life gives you lemons. The above Top 10 FAQs are available on CD for $14.95 (plus $6.00 S&H [US] $12 S&H [CAN] Note: MD resident must add 6% sales tax.). Contact me to place an order. BONUS: All questions have answers included. Just as there was humor in life before cancer, there can be humor in life during cancer. 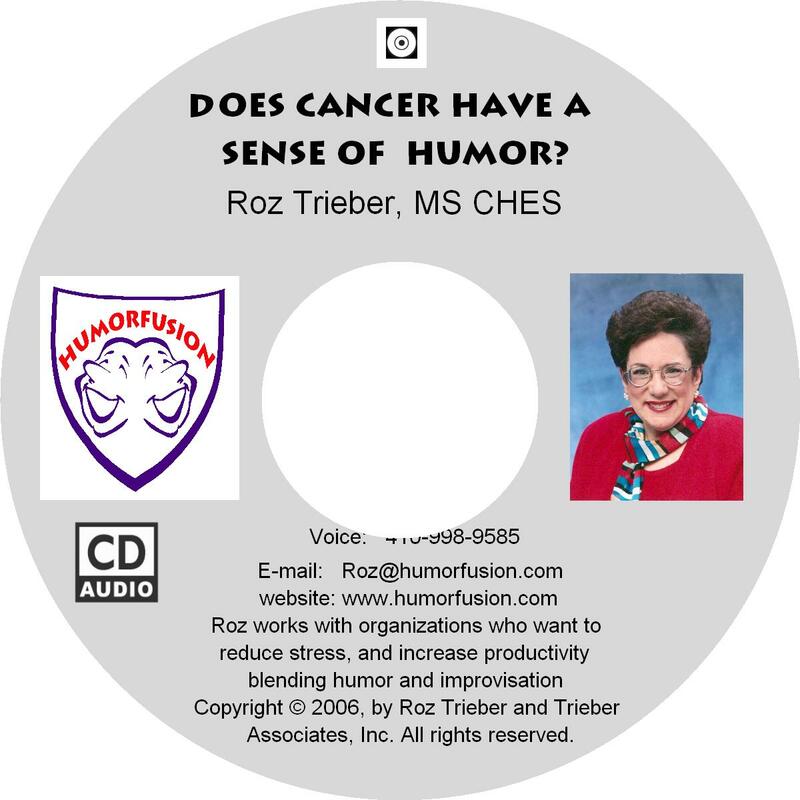 You will discover how to cope with cancer by turning on your sense of humor and gain the courage to laugh through the challenges cancer brings. The above CD is only $14.95 (plus $6.00 S&H [US] $12 S&H [CAN] (Note: MD resident must add 6% sales tax.). Contact me to place an order. (plus $6.00 S&H [US] $12 S&H [CAN] (Note: MD resident must add 6% sales tax.). Perfect for the Gift That Keeps On Giving. Appreciate Your Customers or Appreciate Your Employees. Make this book your customized gift! 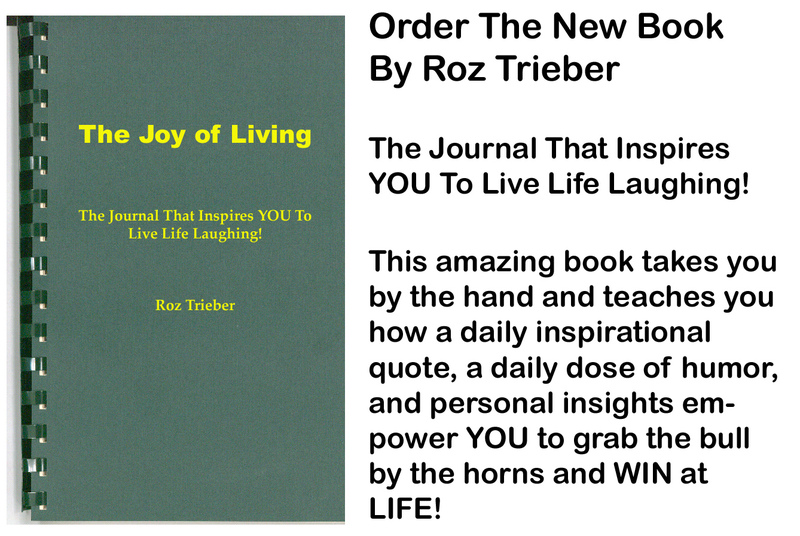 "This Inspirational Journal, written by Roz Trieber is a positive, well-written Journal for those facing pancreatic cancer and for those whose lives have been touched by pancreatic cancer. The Journal is a peaceful space where one can write his or her personal thoughts and feelings, and be inspired daily when there are really tough days to get through. We sincerely thank and applaud Roz for her numerous contributions to the pancreatic cancer and cancer communities. The games in this book are not just for people with cancer. They are designed for EVERYONE who wants to experience more Laughter and Fun in their Life! 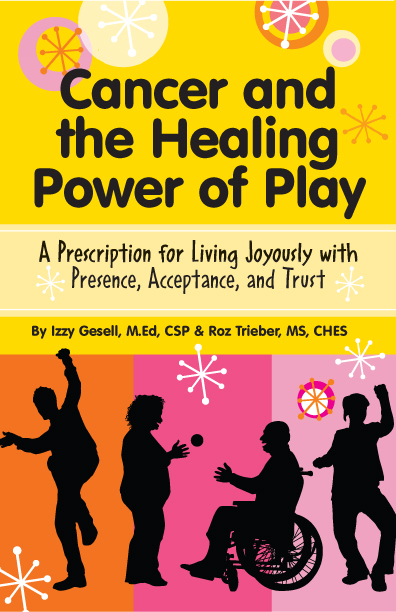 Cancer and the Healing Power of Play…A Prescription for Living with Presence, Acceptance, and Trust. Joyous Living doesn't happen by chance. It happens by design! This book is about putting balance in your life. Let us make your life smoother by showing you a method that demonstrates and give you permission to include fun, levity, awareness, and “in-the-now-living” along your journey. Learn the very strategies we have been using to live joyously and creatively through our personal cancer journeys. Call us for your special pricing on customizing with bulk orders (on any item). For more information (on any of the above) please contact us. SPECIAL: Order 3 products and shipping is free! Copyright © 2009, by Roz Trieber and Trieber Associates, Inc. All rights reserved.